Quenched & Tempered Steel Plates, 690QL Plates & Sheets Manufacturer In India, High Tensile Plates & Sheets, Manufacturer, Supplier, Stockiest, Mumbai, India. 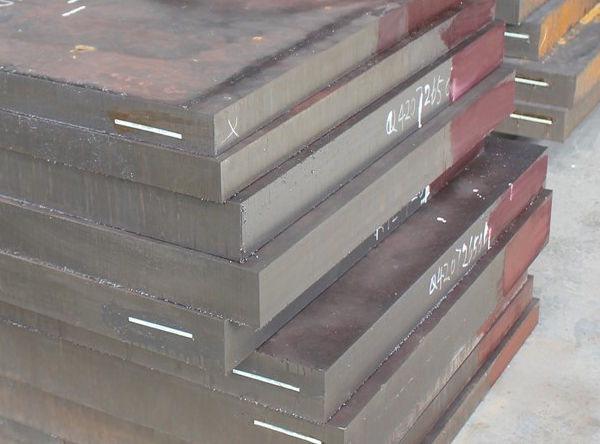 The quenched and tempered steel plate supplied by us are accepted by clients in various spheres of the industries ranging from basic industries such as Sugar, Paper, Textile, Dairy, Engineering to more complex such as Oil & Gas, Petrochemical, Chemical & Fertilizers, Power Generation and Nuclear Industries. We offer high grade quenched and tempered steel plate at affordable price. These quenched and tempered steel plateare manufactured using finest grade raw material available to ensure international quality. These quenched and tempered steel plate are available in different shape size and thickness according to the needs of our customer. Owing to highly experienced group of qualified professional and use of latest technology machinery, Rexton Steel & Alloys have supplied high quality quenched and tempered steel plate and profiles to customers throughout the worldwide. As well as being available from stock all quenched and tempered steel plate can be cut to size and shape according to your fabrication and design requirements and all work is governed by our independently accredited and regularly audited quality systems.Our quenched and tempered steel plate are sourced from the highest quality steel manufacturers in the world and, like all our suppliers, these manufacturers have been vetted and assessed by our procurement team. As the procedure of extinguishing and tempered has been enhanced and refined, S690QL Plates & Sheets created along these lines have ended up more grounded and it is not remarkable now to discover plates with qualities of more that 1100 MPa which is four times more grounded than fundamental basic steel. S690QL Plates & Sheets with least yield quality of 690 MPa has demonstrated exceptionally prevalent with steel clients in view of its accessibility, cost, and simplicity of creation. It can enhance the execution, solidness, and security of vehicles, lifting gear, and steel structures. Because of the steel's high quality, structures can be outlined lighter, payloads expanded, and vitality utilized all the more effectively.